Recent expressions of the charismatic movement still find their inspiration in the Toronto Blessing movement of the 1990s, but they are more likely to stress supernatural miracles, the role of laypeople in healing, and ministry to the poor, writes Michael McClymond in the Pentecostal studies journal Pneuma (38). The Toronto Blessing, called the “laughing revival,” was known for its ecstatic worship and healing services and launched or influenced a number of ministries, most notably Catch the Fire, which innovated “soaking services,” prolonged contemplative periods of silent prayer. More recently, such leaders and transnational healing networks as Global Awakening, led by Randy Clark, show the trademark of Toronto. Since Global Awakening is not a denomination, it is difficult to quantify its influence, but its practice of “democratized” healing and prophecy, teaching that all Christians should exercise such spiritual gifts, has gained wide appeal. The recent emphasis on ministry to the poor in the post-Toronto networks is evident in Iris Ministries, led by Heidi and Rolland Baker, which has an extensive “mercy” ministry in Africa. Most of these leaders are part of a “Revival Network” and espouse teachings on the restoration of the biblical roles of prophets and apostles, although in a less dogmatic way than seen in the New Apostolic Reformation movement. A cover story in Christianity Today magazine (May) profiles Bethel Church, a key congregation in the post-Toronto stream. 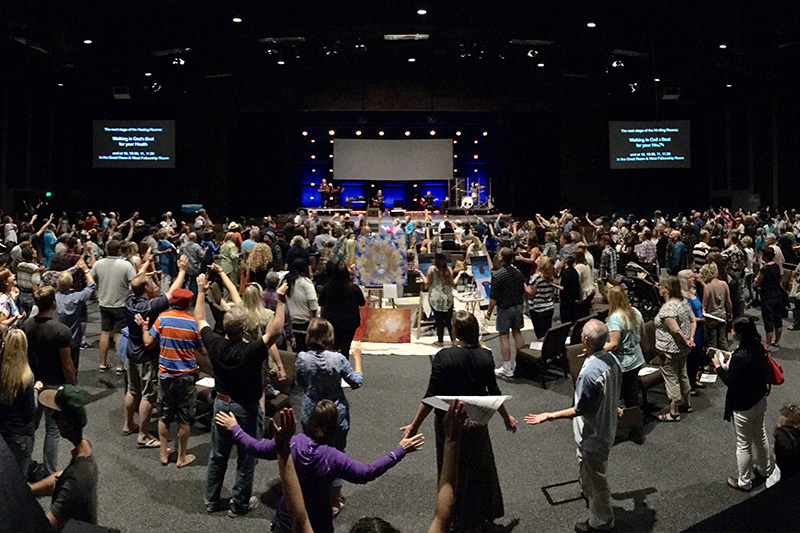 Pastored by Bill Johnson, the Redding, California, based non-denominational megachurch encourages its members to perform miracles and runs the Bethel School of Supernatural Ministry, with 2,000 students. Evangelical critics have targeted the church’s miraculous claims, including reports of materializing gold dust, angel’s feathers, and a “Shekinah glory cloud” during its services.